NG Studios was one of the best decisions I made for our wedding. He is incredibly professional, creative, and truly made the time leading up to our wedding really nice and easy. Our engagement shoot was awesome. Our wedding was amazing. He kept everything in order (which is hard at a large wedding). His work is beautiful and he comes up with really cool pics. And best of all? Nour himself is one of the nicest people you will ever meet. I feel like I have made a new friend and not just a favorite photographer for life lol. He offers so much help with so many other aspects of the wedding. His invitations were beautiful (I wish I hadn't already picked mine before I went to him). Overall, we loved NG Studios and I would without ANY hesitation recommend him to anyone who asks. I have already told several guests at my wedding who really liked the way he works. 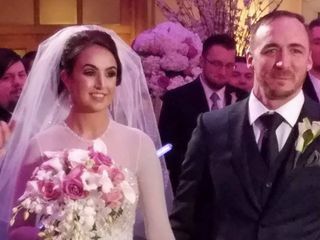 I honestly cannot put into words how much awesomeness he added to our big day. Perfectly executed! Couldn’t have asked for a better photographer! I don’t even know where to begin ! Nour is one of a kind, he was the first photographer we met with, and didn’t look any further..and we are so happy we didn’t ! Nour went above and beyond 100% of the time !! He worked around our busy schedule regardless of how busy he was! For our engagement shoot it was too hot the first attempt, so after shooting for over an hour and getting some beautiful shots, he scheduled a second shoot for us! He always made us feel comfortable, he was very attentive and cared about getting to know us as a couple before shooting us. Irene the photographer that we met the day of the wedding was wonderful, she was patient And professional. Nour and his crew did not miss a beat of the wedding. When we received our photos edited and ready to go which not to mention was only a about 10 days after the wedding, we were stunned by how they captured every moment. Each moment of the wedding was captured from so many different angles. Beautiful unique shots. people who viewed our pictures said they felt like they were looking at a bridal magazine. The photos speak a thousand words and capture the emotion of each second of our wedding. I could not of asked for a better crew. Ng studios executed the job with perfection. literally don’t have the words to tell you how awesome NG Studio have been. They have been an absolute dream to work with. During our pre-wedding shoot they put us at ease straight away, we laughed lots and the photos were just awesome. 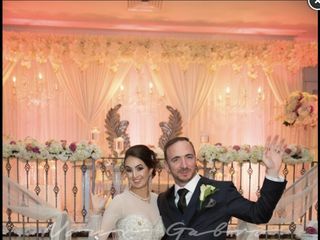 NG Studio did such an amazing job on our wedding day where they managed to capture so many wonderful moments even those we missed! The photos are just out of this world and tell the story of our day so perfectly. It was a great experience during the photo shoot with Nour for my engagement , he was punctual and professional all the time, no forgetting to let us feel comfortable and relaxed during the session. The quality of the pictures were excellent. Nour , I can’t thank you enough. you made our day extra special. I highly recommend NG Studio for every event. I hired Nour to take photos and a video of my proposal. I can say without a doubt he is the absolute best! He went above and beyond to accommodate all the things i needed because i was overseas planning everything. He made sure that all the little details with taken care of without any issues. Not the mention the final product turned out incredible. Every time we look at our pictures or video, it feels like we are reliving those exact emotions and that moment all over again. He is a master at his trade and my go to man. Thank you so much for the beautiful photos that you produced. We were blown away by the great variety of shots taken. We've had wonderful comments on the quality of the photos so you should be very proud. We can't wait to get some canvas photos on the wall. Magical! 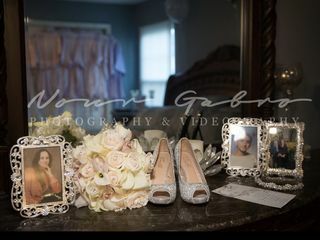 NG Studios handled our wedding video and photos as well. They did an amazing job and really elevated our event to the next level. The album was phenomenal. There are no words for it really. The video was like a Disney fairytale. We thank you all so much for an overall fun and unforgettable experience. Our experience with NG photography and Nour were amazing. I couldn't have ask for anything me. He know we wanted to do our photos in a timely fashion and was right on top of everything. He got everyone and all the pictures we wanted. He was a pleasure to work with and never said no to anything we requested he is very open minded. 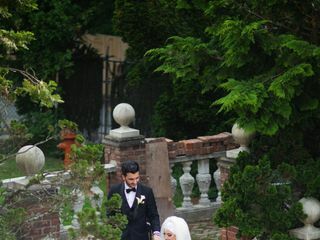 Nour & his team were great to work with and provided awesome tips , images, and clips to make my wedding beautiful! They’re so professional & They captured all my special moments on film because he made sure not to skip a moment, all the moments I lost came back to life through him. 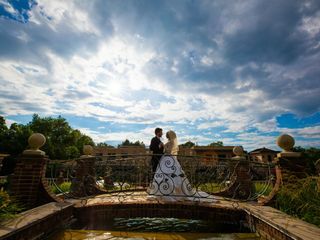 He accommodated our needs, prices are unbeatable and if we weren’t surrounded by an amazing setting his ideas made the setting absolutely beautiful! All the photos were amazing and we got to choose as it was so hard to do so! Everyone loved the work and were all astounded just by the highlight so we can’t wait for the actual wedding tape and album! NG studio is the best! Thank you! Professional, great to work with, and beautiful quality of work!! Defiantly booking nur for our next event! 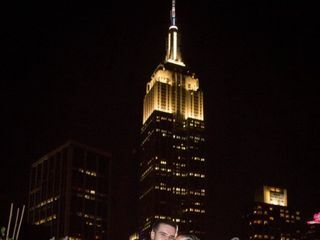 My engagement and wedding can eiut beautiful! Cannot say thank you enough for the amazing work NG Studio has done. From our engagement photos to our wedding photos/ videography my husband and I couldn’t ask for anything better. Everyone compliment your work. We have recommended you to some friends that are planning their wedding and gave them our word that you are the best of the best! We are so grateful for all the memories that you captured in all our events. Thank you! Let me start off by saying it was the upmost pleasure meeting Nour and his staff and it also was the best decision we made for when it came to choosing a photographer for our wedding. From the moment we met him he was so professional and he was so much fun to work with! From our engagement shoot to our wedding day he was very organized and made my day stress free. His vision for pictures is beyond anything I have hoped for. I only saw a few of my pictures and I am in love I cannot wait to see the rest. To Nour and his staff thank you for making my night memorable and capturing every moment! Thank you so very much NG Studio for being a part of my wedding. Nour is an amazing photographer and professional who works collaboratively with his customers to ensure that they receive the best quality photos!! 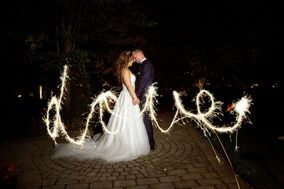 I highly recommend his services to anyone who is looking for top-notch wedding photos! NG studio was the best photographer and videographer that I had. My husband and I are not camera people and Nour knew exactly where to position us and how to pose as well. Our guests fell in love with our album and pictures because it was PERFECTTTTTT!!!!!! All of our pictures where from the best angles and we really couldn’t ask for a better photographer. Thank you so much to Nour and his team, for capturing the best moments if our life!! Noor at NG studio was recommended by a friend. We were very late getting a photographer and everything else for our wedding tbh but luckily he was available. He turned out to be way more than just a photographer, he helped us every step of the way. He found us a great florist and entertainment and also helped us get organized. Oh and he also did our wedding Invitations which were amazing. The day of the wedding him and his crew were phenomenal. We had some delays and they stayed very patient and on top of every shot. And if all that wasn't enough the photographs and video were unbelievable and we couldn't be happier. Not only did we find a great photographer but we also made a friend for life. Thanks Noor, we love you. Amazing work and professionalism from Nour and his team. I am in love with my pictures and wedding video and cannot stop watching it! Nour is personable and extremely passionate and dedicated to perfecting his work. He is truly amazing at what he does and worth every penny. Highly recommended. 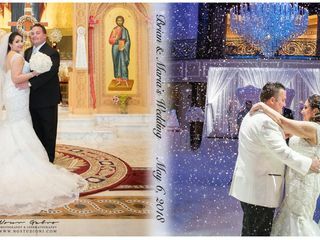 This studio did the video and photography for my wedding and I can honestly say I could not have chosen a better photography company! Nur and his photographers captured each and every moment of my wedding and I am so grateful to be able to go back and reminisce with their video and photos. Not only did the video and photos come out amazing, but the editing, the professionalism, and the service was impeccable. Nur and his photographers were so friendly throughout the whole day, especially Nur himself. Truly a wonderful guy who made the best day of my life even better by calming our nerves and making my wife and I laugh every chance he got. I highly recommend them for any wedding, engagement, or event over any other company. NG Studio is by far the best place to go to for video and photgraphy. Nour is very professional and goes out his way to make sure his schedule revolves around his clients. Before i chose NG Studio i have visited several other spots that didnt even compare. His prices are unbeatable for the phenomenal quality his work provides. He cares about his clients satisfaction so much to the point where he delivered my albums and CD's to my house when i was too busy to drive to his office. Nour really cares and wants you to be happy. He made our 25th Anniversary renewal vows a special day and thanks to him we have great memories through his pictures and videos. Highly recommended. We couldn't be happier with our experience so far with NG. The amazing engagement pictures speak for themselves as far as the superb quality of his work, but beyond that Nour was great to work with and spend an afternoon with. A super nice and fun guy. He listened to our ideas as well as coming up with many very creative ones of his own for shots. He gave clear and simple direction to help us get beautiful pictures without being pushy or impatient at all and was fantastic at working with my 6 year old son. Can't wait to shoot the wedding with him. Mo in the office is also very friendly and attentive. On top of all of that, their prices are very reasonable for all that you get. I highly recommend them.